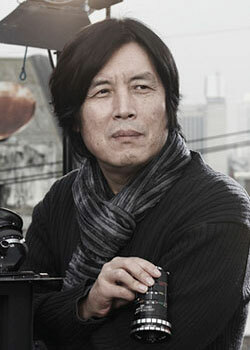 Director Lee Chang-dong is arguably the most consistently excellent visionary within the Korean film industry. Originally working as a novelist and achieving acclaim in the field, Lee Chang-dong turned his attention to writing screenplays. His directorial debut came in 1997 with Green Fish (초록물고기), which immediately established his concerns with cultural examinations and social critiques, themes he would continue to return to and explore. Lee Chang-dong’s next feature, Peppermint Candy (박하사탕) cemented his position as an auteur through his symbolic exploration of Korean history and masculinity, and is widely regarded as a turning point in Korean cinematic history and for drawing international attention. In 2003 the director released Oasis (오아시스) which garnered incredible international acclaim, receiving awards from several film festivals including the Venice Film Festival. Yet it was his fourth film, the 2007 drama Secret Sunshine (밀양), that made an enormous impact at the Cannes Film Festival in which lead actress Jeon Do-yeon received the award for Best Actress. His fifth feature, Poetry (시), once again cemented the director’s reputation for socio-cultural examination and earned Lee Chang-dong the award for Best Screenplay at the 2010 Cannes Film Festival.